“Times and Epochs” is a history festival visited by millions of people. 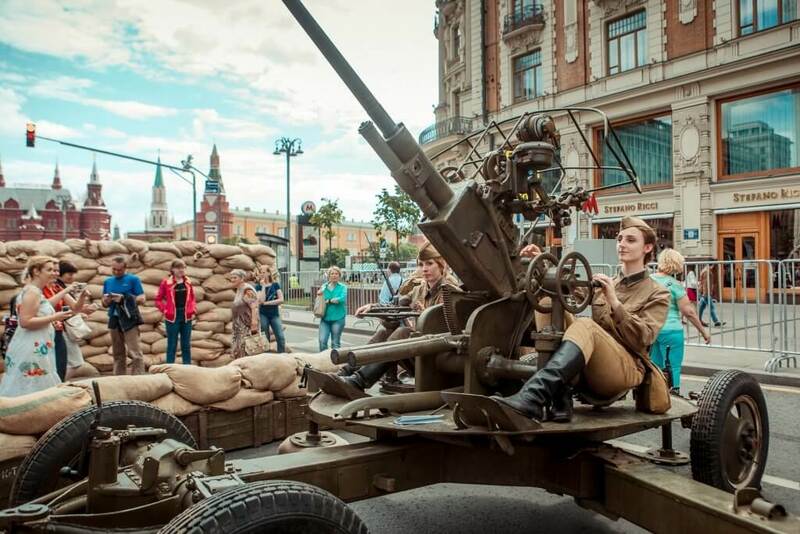 Each year in the very centre of Moscow we recreate the history of mankind from Antiquity to the Soviet Thaw. In the 2019 the dates will be 8-16 June. During “Times and Epochs” one can make a flint arrowhead, sign up for an old Russian armed force “druzhina”, help a stonemason to build a medieval castle, make an etching print, take to pieces and then put together a musket, dance a polonaise and even play in a silent movie. The festival is a stone’s throw away from metro stations and has its own application-navigator. Every year we present to the guests of the festival new epochs: in 2019 these are going to be Mesoamerica, Muscovy of the 15th century and the Ottoman Empire. We also plan to hold the historical projects contest for the third time. The winners receive 1 000 000 rubles to implement their projects, which are to be reliable, original and promising. Everyone can offer their idea for the festival: we carefully examine all of them and try to realize the best ones. Last year 12 of 100 ideas we got were turned into sites or programmes of the festival. Share your idea with us!